The Federal Inland Revenue Service (FIRS) re-wrote Nigeriaâ€™s collection history in 2018, when it collected N5.3 trillion as tax revenue for the year. FIRS Executive Chairman Tunde Fowler, who made the announcement in Lagos at a retreat: â€œParliamentary Support for Effective Taxation of the Digital Economyâ€ also announced that the Service is targeting N8 trillion for 2019. The FIRS boss noted that the non-oil component of the N5.320 trillion is N2.467 trillion that was (53.62 per cent), while the oil element of the collection was N2.852 trillion (46.38 per cent). 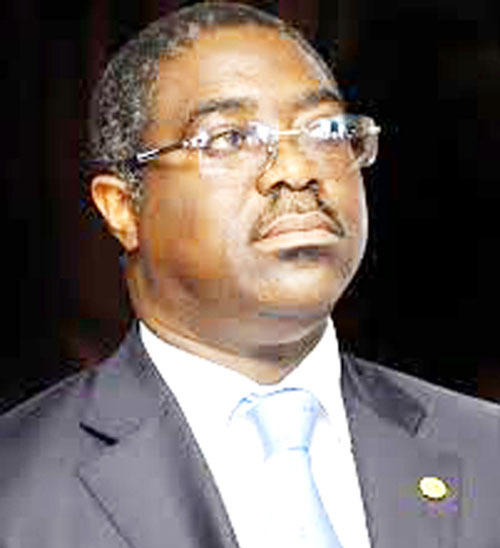 From audit alone, the FIRS collected N212,792 billion from 2,278 cases with a huge reduction in audit circle. â€œThat is the condition our tax collectors and enforcers have found themselves all these years. Understandably, Nigeriaâ€™s tax to GDP is the lowest among its peer economies. It is also because of this same reason that our budget to GDP is the lowest among peer economies. And the same reason why we have the highest debt service to revenue ratio in the worldâ€ Enwegbara told The Nation. He added: â€œI will like to see the next government to be so aggressive with its tax policies to the extent of setting up Tax Courts along with creating Tax Police. We need these measures if we want to make sure that there is no more hiding place for tax evaders. Such proactive measures will seal off the current huge loopholes especially when accompanied with costly punitive measures. We need to adopt them if we want tax avoidance to become something no one would want to indulge in any longer in Nigeria. â€œIf we get it right starting with dealing with the tax evaders, and should be as a result be able to grow our tax revenue to as high as N20 trillion in 2019 alone, we will drastically reduce our high current debt service to revenue ratio, now dangerously above 70%. â€œIn the meantime, I am willing to share with the next government our product the zero-tax-evasion software created to make it extremely difficult for VAT collectors to easily divert the money or for VAT collector to fail to collect such VAT money on behalf of government. Should our software adopted by the next government, we will be increasing the countryâ€™s VAT revenue to as high as N20 trillion especially if the next government agrees to double our VAT rate from the present unbelievable 5% to mere 10%. If the next government will have the money needed to invest in social and industrial infrastructure, it will have to grow its tax revenue, starting with VAT which is the easiest way and one of the best sources of tax revenue for most governments in the world. Mr. Tope Fasua the Presidential Candidate of the Abundant Nigeria Renewal Party (ANRP) told The Nation that â€œon the tax please note that the FIRS figure is for Jan to Dec 2018. It surpassed the figure for 2017 which was N4.5trillion. But the same FIRS in 2013 collected N5.007tr.